First time custom loop build. Did AMD way back in the day (Thunderbird / Athlon) and thought I'd try it out again for my new gaming machine. Most the parts are chosen their looks. There were not a lot of X399 motherboards to choose from at the time. The Gigabyte DESIGNARE EX fit my look. While searching for cases I fell in love with the Lian Li PC-O11 Dynamic layout. The all glass front and side mounted radiator was a different and intriguing setup. 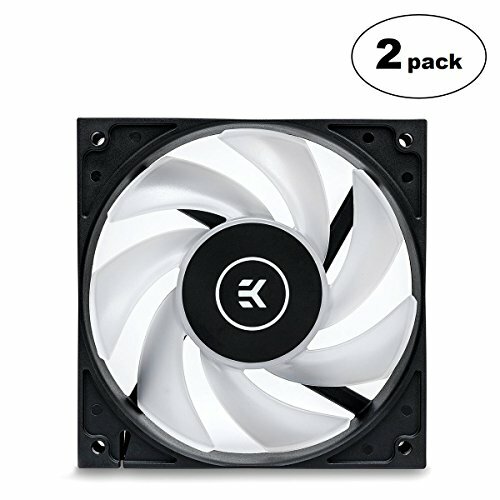 The top 2 fans are exhaust and the radiator are intake (pull only). The attached temp graphs show the difference in top fan orientation. The red line shows exhaust while green line shows intake. The exhaust seemed to work much better. It might be possible to swap the fan orientation of the radiator but I haven't tried that yet. It looks pretty cool. I like the way everything lights up and reflects off off the white surfaces. Everything fits together well. The radiator is a tight fit but works. 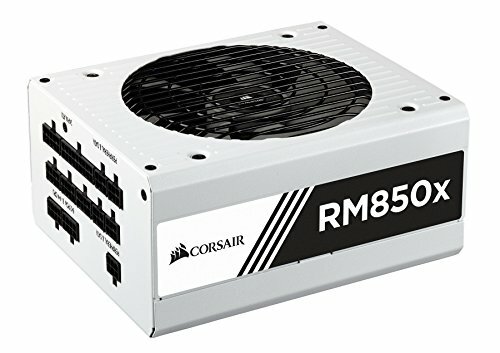 Single 360 radiator seems to be enough cooling. CPU stays under 66c and GPU under 52c during CPU and GPU stress test after 15 minutes load with fans at 100%. The idle temps with fans all low are about 34c for both CPU and GPU. Something other than X399 / Threadripper? The performance feels worse than my old 7700K. Boot is slower and the system doesn't feel as snappy despite high benchmarks. Possible I need some tweaking and tuning. Corsair premium cables are super stiff and hard to work with. There are extra cables in some pins and makes it awkward to fit the combs. Any overclock seems to perform much worse than leaving it stock. Overclocking seems to disable any boost clocks and locks the base clock in place. I should have added a way to drain the coolant. The initial coolant flush was a pain. But it was manageable. By sucking as much as I could out of the reservoir, closing it all back up, laying case on its side, then disconnecting the GPU to reservoir hose after the coolant drained out. This allowed me to attach another hose to the disconnected fitting and drain both into a large bowl. Expensive! My most costly desktop build to date. Controlling RGB is awkward. I need 3 applications to set everything up (RGB Fusion, Thermaltake TT, and Corsair iCUE). I wish this was more open so there could be better 3rd party applications existing. The Thermaltake TT software spins the fans up and down based on CPU usage. There doesn't seem to be any hysteresis in the fan software. This makes the fans spin up and down often with every little CPU spike. I'm looking at swapping the fans out and use a Auqacomputer Auqaero for fan control instead. I've swapped out the Thermaltake Riing Plus fans and controller for some EK Vardar 120 RGB, a Aquacomputer Aquaero 6 LT controller, and a Aquacomputer farbwerk RGB controller. This setup is a bit pricier. But I like the look of the EK fans a lot better and the Aquaero controller for controlling it all is amazing. The software is much better than Thermaltake. The Aquaero has 4 fans headers. I've got a 3-way PWM splitter for the 3 fans on the radiator going to channel 1, the pump going to channel 2, then channels 3 and 4 are the two top exhaust fans. The fan curves are based on the exhaust temperature probe which is over and exhaust fan held in place by the filter. The radiator fans have a temperature probe zip-tied to the top radiator fan. I've also changed out the PSU cables for some custom Ensourced. The Ensourced are much better than the Corsair premium cable set. Much more flexible and keep a nice bend better than the Corsair ones. The later added pictures near the end show off the new fans and cables. It fit the look of my white case. All the other X399 boards at the time were all black or more darker colors. It had a compatible EK monoblock available. Though, the board seems to work great as well. No complaints. 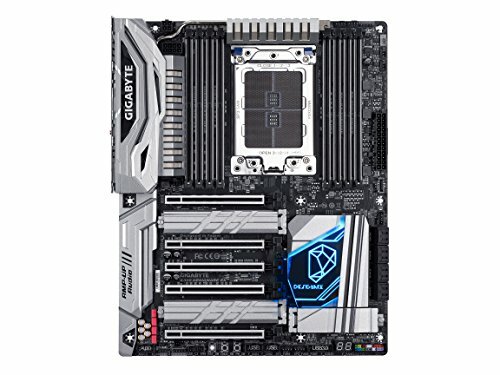 I've done Gigabyte components in the past and never had an issue. There are some complaints of RAM compatibility issues on the Gigabyte forums. It also looks like it may be due for a BIOS update. Like any component choice in this price range: Do your homework. Seems to perform as expected and looks great. Once you get the color set in the iCUE app you don't need to keep the app open in the background (there appears to be a Corsair service running that handles this). I'm only overclocking with the XMP profile. This was the first component I purchased. I was able to get my hands on the second batch pre-order pretty early and based the build around it once the EK water block was available. Didn't care about the aesthetics as I knew I was going to be water cooling it. Card runs very cool (never gets over 60c during stress tests in my custom loop). I'm now running the GALAX BIOS to boost the power limit to 127% (380W). I've got it stable at +800mhz memory and +140mhz core with 127% power limit. So, why one star off? I've got an audible coil whine from the card. This just seems like an unacceptable fault on such a premium product. I understand that coil whine is one of those random things that doesn't affect performance. But it is there and it is annoying and I can hear it when everything else is silent. Boot times will be slower on this type of systems... Did you update bios to latest version? Yep you do expect it to be better in every way.. :) But I wouldn't worry about boot times..
Are you planning to get an acrylic reservoir/pump for the O11 Dynamic? Bitspower is supposedly making one. And sluggishness with an OC can be resolved if you do a PBO overclock rather than a fixed overclock. Yeah, a flat panel reservoir would really compliment the look. Multiple companies are starting to get on this trend. Thanks! I got this question multiple times already and honestly, I don't really know. I guess I figured it would look a little better not blocking view of the motherboard. Though, it means you can't see any of the acrylic cover of the block. It also kind of covers up the USB, front panel, and fan headers plugged in under there. If you move your GPU up you will have more power. Depends on the motherboard. This is a pretty high-end board and X399 has tons of PCIE lanes, so the bottom one might be a x16 slot. You should check the manual on this, OP. You might be cutting into your performance with the 2080 Ti. Probably not by much, but such a powerful card can probably use that bandwidth. Hmm, I'm not sure what you mean. Care to explain? The 1st and 4th slot are both x16 PCIe and should perform the same. Very good build man, top notch! I have pretty much the same parts different CPU and Motherboard, just hoping my 2080 TI doesn't give me any problems not sure if I should test the card first before putting the water block on it or just go ahead and build the hole thing. Cool! Which board and CPU are you going with? I pre-order the 9900k but Amazon never had it on stock they told I had to wait never gave me a date so I just canceled my order and got an 8700K couldn't find a good z370 board so got a z390 board Gigabyte z390 Aorus Master. Amazing. That's what I would build if I had a better income :) Great build! Cool! I wish there was a function to follow people so I could be notified about it. But I'll try to catch it (i'm trying to catch all the PC-O11D builds because I love comparing). Threadripper target market isn't gamers, it's content creators. Your 7700K is snappier, especially in gaming and rightly so. Intel 14nm carries faster cores altogether, especially in gaming. For streaming the Threadripper would trump it. Most popular games are being optimized for 6 cores and some are even being optimized for 8 cores. Eventually if devs progress, more cores should = more frames as a basic rule of thumb. Nice build! could have gotten corsair rgb fans and sync them up with icue. Thanks! I actually got the Thermaltake because the cabling was easier (single cable to the controller). But I agree with you. I am actually thinking the Corsair LL fans would have looked better and been easier to just control with the motherboard headers or a Auqaero. Funny. I don't hate rgb outright, so I prefer the more understated look of the Ring style fans and would prefer the performance over looks. I think the rest of the build is flashy enough without being over the top. There is another comment about the GPU slot as well. What problems were you thinking about? Both slots are 16x PCIe so the performance should be same. GREAT BUILD!!! i recently build my own tr4 system. my cpu is the 2950x and my gpu is the asus 2080 ti strix. my mobo is the x399 designare and I also have 2x8 gb gskill trident z rgb ram at 3000 mhz cl15. The 2 ram stick are installed in the outer left and right ram slots in the mobo because the 2nd ram slot (close to the cpu) doesnt read the ram stick. This ram config is not recommended by the mobo manual but in bios says dual channel 3000 mhz with xmp.But i have some problems with my computers performance. When playing call of duty black ops 4 blackout for example in 25460x1440p everything maxed out, v sync off i get about 58-110 fps (80 average) and my gpu usage is also low at about 45-70 percent. This happens in other games too. In pubg i get 90-135 fps (110 average with drops to 70 when looking at a city from a high position) with everything on ultra and vsync off. My gpu usage gets to 90 percent but gpu clocks are at 1850 mhz most of the time. In forza horizon 4 in 2k everything maxed out i get 65-105 fps (80-85 average) and gpu usage is 60-70%Things get worse in call of duty black ops 3 when i get 85-120 fps in zombies or multiplayer while other 2080ti systems get 200 fps or more. In fortnite i get 100- 140 fps with framedrops to 65-75 in places with many buildings. Its like my cpu is a bottlenech for my gpu. I ran a Userbenchmark and these are the results: https://www.userbenchmark.com/UserRun/15211915 Could you please tell me if your cpu bottleneck your gpus aswell and also what kind of performance you get in those games with your beast of a pc??? Because it looks like mine isnt as beastly as i would like to :( Thanks in advance and sorry for the huge comment. I would say, in general, this CPU is not a good for gaming. It does underperform in games like COD:BO4. But I easily hit my 144 FPS frame limiter in games like Battlefield V.
Could my gpu be bottlenecked by the dual channel ram? In unigine valley and in unigine superposition my score is fine I think (8795 points in superposition 1080p extreme) Also could you please check how many fps your system hits in black ops4 blackout in 2560x1440 everything maxed out (no v sync)??? I don't have that installed. But is your memory even in dual channel? I think each side needs 2 x sticks populated for the Threadripper per it's dual-die design. You may only be running single channel on each bank. are you planning to switch to hard tubing? love to see that. I don't think I will re-do the tubing in this chassis. I'm waiting for a newer dual-chamber chassis to come out where I can separate the radiator completely (the closest I can find to what I want is the Parvum L1.0). Then I might move to hard tubing or just build a new machine. There are definitely a lot of good hard tubing builds in this chassis around and they do look amazing! I just didn't think it was a good idea to try hard tubing for first time custom loop.